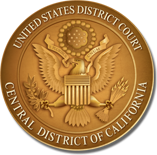 The Ninth Circuit Judicial Council has set presumptive rates for paralegals, investigators, support staff, and other categories of experts and service providers. These rates are set forth below, as well as in Appendix 2 of the Judicial Council of the Ninth Circuit's Criminal Justice Act Policies and Procedures. Please refer to that document for additional guidance. 1 The policy contemplates that paralegals appointed at the maximum hourly rate possess foreign language skills, discovery database management expertise, or subjective coding experience in at least two prior federal cases or complex civil litigation. 2 The policy contemplates that investigators authorized at the maximum hourly rate have foreign language skills, a high level of investigative expertise in the type of crime alleged, special skills the case requires, or experience conducting investigations in a significant number of federal cases. 3 Rate based on those prescribed by the United States Department of State, Office of Language Services, Translation Division.